….GreenAer interviewed 137 Dubliners, asking (amongst others) what their favourite cycling attire would be if there were no practical, logistical or social barriers. The Bare Cycling Club stresses it is not a nudist association and that its activities are within the legal framework. However, the Bare Cycling Club does believe its (minority of) almost naked cycling members can play a strong role in advocating a more pleasant way of cycling (i.e. without the confinements too much cycling gear) for all cyclists. The Bare Cycling Club understands naked cycling may seem radical, so to avoid confrontations it advises its partly naked members to cycle only between 10 pm and 6 am…. 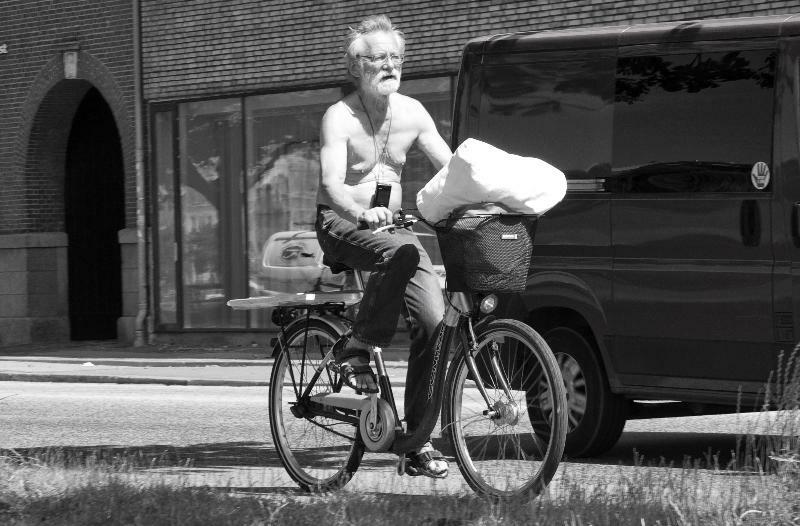 Photo of cyclist in Dublin by Mikael Colville Andersen of Cycle Chic fame.